SEL-MOTION Motorsports project Swiss Misfortune is a tribute to those Triumph twins that campaigned the AMA Flat Track series of the 60’s and early 70’s. 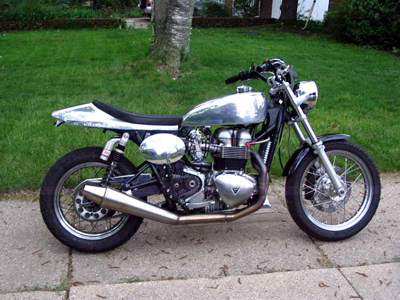 The hand made aluminum fuel tank and seat capture the distinctive lines of those vintage race bikes. Race influences continue in the YSS piggyback shocks, Earl’s AN oil line fittings and Zard 2 into 1 header system. Engine: 904cc Wiseco-equipped oil/air cooled vertical twin. Carburetion: Keihin FCR 39mm carbs, jetted to match exhaust, long 790cc intake manifolds & Thruxton manifold spacers. 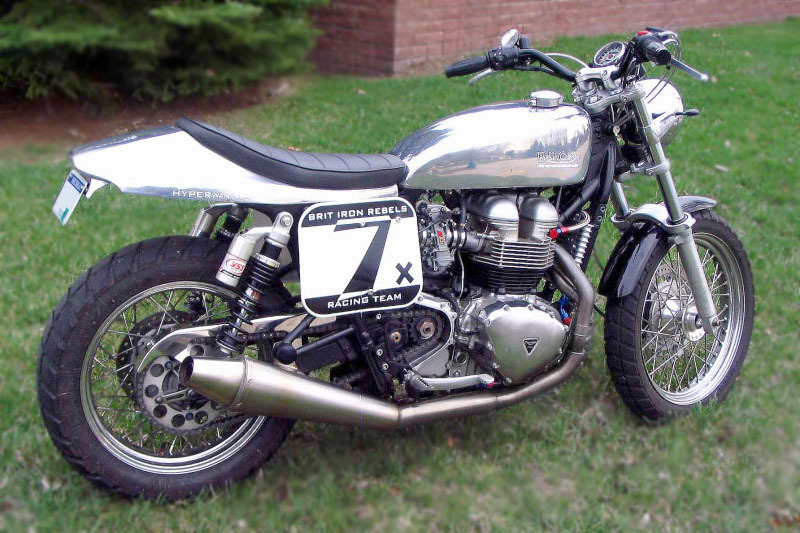 Exhaust System: Zard 2 into 1 Low Scrambler System, stainless steel. Front Suspension: Stock 41mm forks stripped of black paint and outfitted with Hyperpro progressively-wound fork springs and BellaCorse preload adjusters.